In a stunning contemporary tartan design, the Catherine Lansfield Kelso Check Duvet Set brings a touch of traditional style to modern bedrooms, and being reversible you can choose from two different colourways depending on your mood. 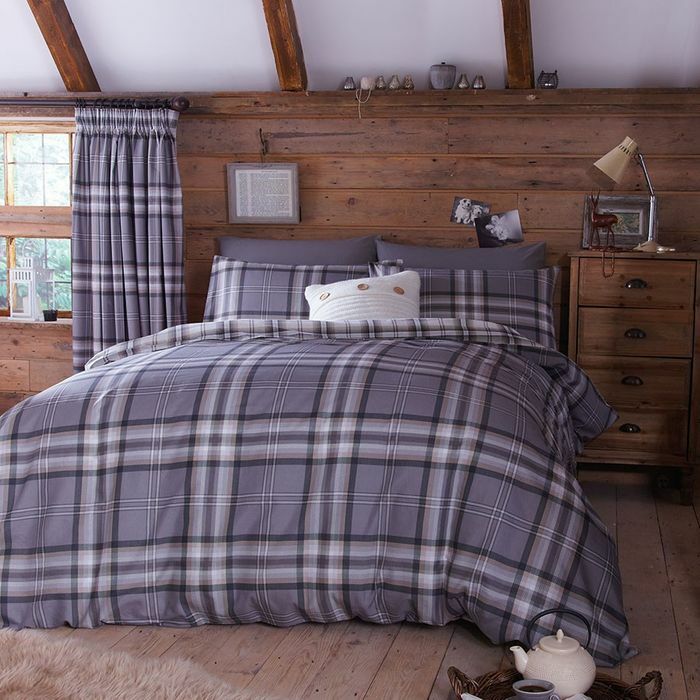 The Kelso tartan duvet cover set has been created in a super soft polycotton material ensuring softness, warmth and comfort and it co-ordinates perfectly with the Kelso tartan curtains within this range, making decorating your home effortless and enjoyable. Easy care linen – Cotton rich and machine washable, you’ll find this bed set very easy to care for and it will keep its good looks wash after wash.